Welcome on the website XJ-Forum.de. I have received a lot of mails from other XJ drivers from all over the world, I also decided to create a english version for all the others.To put all of your pictures online,I have included also a galery to the website. 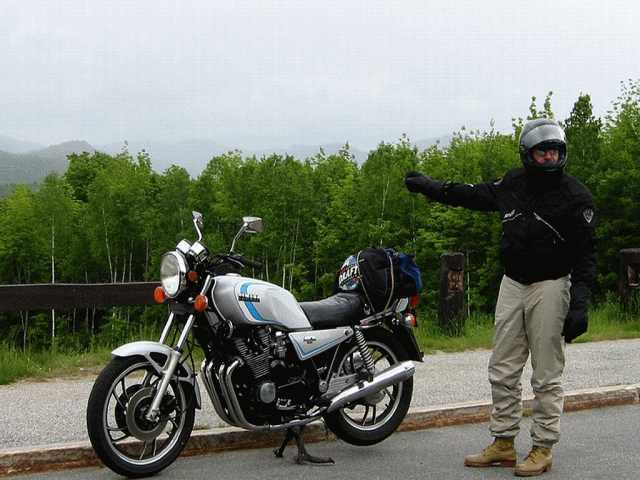 The first picture is the picture of the XJ 650 from Cliff from Unionville, Ontario - Canada who uploaded this picture to the old the driver board in 2004. On this pictures Cliff wants to show us his bike, or something else behind? 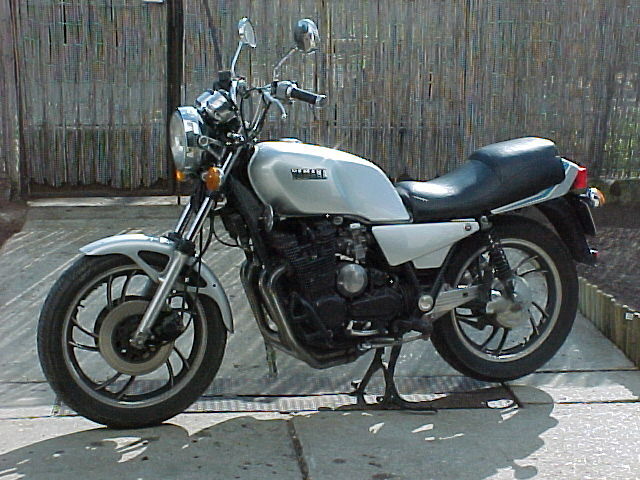 In 2004 I also received the picture of the XJ 650 from Demeter in Hungary. Yes, I have a 1982 XJ650RJ, the only year the Euro 650 was sold in America. I bought it new and am currently rebuilding the carburetors (Hitachi carbs are horrible to find parts for!). The bike has 8,800 miles (14,000 kilos) on it and looks more-or-less like new. I have left the bike mostly stock, but have a Weigl 'telefix' brace on the forks and Marzocchi rear shocks. In the picture of my Kawasaki (GPz500), you can see the XJ behind it. At that time, it had a Keim vollverkleidung mounted. I took it off and will use it on another bike. I also have the oil cooler from a 650 turbo that I will install. 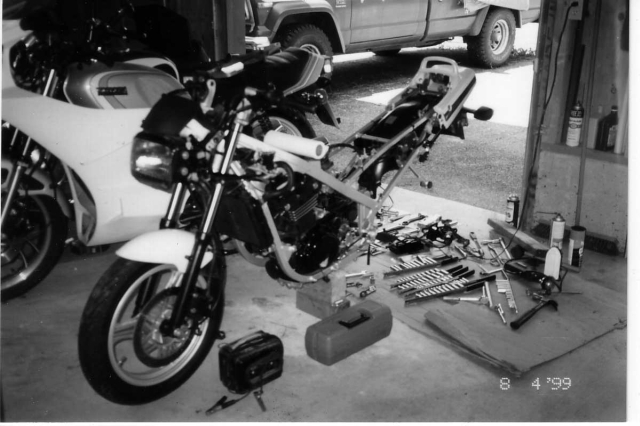 My garage has 6 motorcycles in it (4 Yamahas from 1966-1982 and 2 Kawasaki GPz 500s 1987 & 1989), so I have lots of projects to work on. James also send me scans of a test about the XJ 650 RJ Seca from the Cycle Guide 9 / 1982 and a long test from Cycle November 1982.